This incredible jacket and skirt combo is simply amazing. Made from the smoothest, softest satin, 'Tacia' features a bomber style jacket with piping detail and coordinating mini skirt. 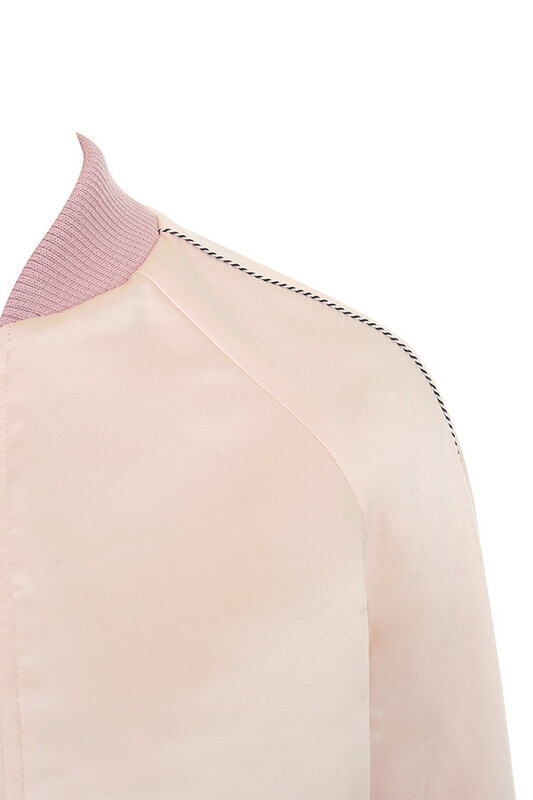 The ribbed neck, waist and cuffs are in a tonal rose pink along with the skirt waistband and the gold hardware to the jacket and skirt adds a touch of luxe. Wear this sports luxe look with tonal high pumps.